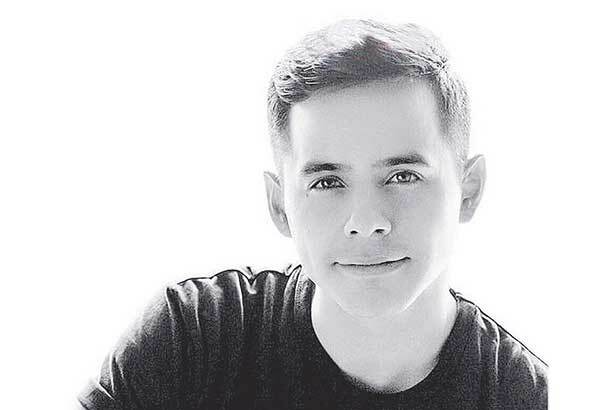 How does one get over the week David was here in Manila? What a frenzied first three days for me! The last two days, I had to go back to reality unwillingly – back to work and to dealing with things that make you yearn for David’s infectious joy. It all seemed like a dream that you wanted to last longer. Manila was actually lucky to have him for five days and yet it seemed all too short. Can we just have him as an honorary Filipino citizen already? He espouses a lot of beliefs and values that we hold dear to our hearts about God and family that are intrinsic in our daily lives. We are a happy people despite our national problems, but David is so much more than just a bundle of joyful and peaceful energy. He carries with him an aura of indescribable bliss which you love to keep witnessing and basking in. Even if you have seen him once, twice, thrice, it is never enough. No wonder the fans want to be where he will be, and they are willing to spend for it even if they will have to scrimp on other stuff for the rest of the next months or year. Just the knowledge that he is breathing the same air you breathe is a comfort in itself, that the world is just a lot better than it used to be. When he was here, the rainy days became sunny. And when he left, the days went back to the dreary bouts of cloudiness and rain. It was like the weather was missing him as much as our hearts were. I have to confess that I ‘mourned’ after the third day, when I got home from the book signing, because I knew that I would not be able to see him again, that he would be leaving in a couple of days. I was not alone in that thought because I got texts from fellow Archies expressing the same anticipated misery. It has been difficult to get over those bliss-filled days, and it has been even more difficult for me to write down what it has been like during those days. Just the memory of having had so much joy, then longing for it is kicking in the Archudepression of missing David so much that it hurts. We had a piece of Heaven and want more of it. David, please come back! *Note: I wrote the preceding paragraph in the morning of August 11th right after having breakfast in a fast-food outlet. I had just lost my two cell phones the previous day when I unwittingly dropped them in a cab that I rode to work. The next passenger found them but was barely responsive to texts and calls. I had to give up being able to recover them and was depressed because of all the contact numbers I had to reconstruct. The incidents made me brood then think about David once more. After writing, I found myself tearing up again and had to go in a toilet cubicle so I could cry in private. I was sobbing inconsolably yet trying to make my whimpers inaudible. I kept questioning God why I was feeling this way, why am I crying like this? Why does David affect me this way? What should I do about it? Please, what should I do? I don’t know what to do about this solitary feeling of helplessness. Why David of all people? At that point my tears were really flowing and my eyes were by now swollen. Then an answer kept repeating itself in my head: ‘Write about it. Write about it. Write about it.’ I had stopped crying at that point. My misery was gone and I started wiping my face dry. ‘Take a leave if you have to. Write about it.’ This kept repeating in my head, which compelled me to get out of the comfort room and start heading for the office. I was figuring out how I could find the time to write, with deadlines to deal with at work. But then I realized that losing my phones was a sign in itself. I was being given a breather by not being bothered with texts and calls. Then I received notice that the opening of an office we had completed to turnover for operation the next week was postponed for another two weeks. Moreover, my immediate boss took a leave and would not be bothering me in the next few days. Things were falling into place for me to be able to write again. Sadly, I tried to continue writing a few days after, but with no success. I passed by a chapel yesterday which called out to me, so I entered it. I wanted to have some real quiet time for a change, and talked to God about my family, their health and safety, my kids’ futures, my husband’s work, my own career and the general direction my life has taken. Then I found myself praying again about this ODD. Why do I have this? God, is this the reason for the change in my work? Did you do this on purpose, lead me to David and eventually lead me away from my workaholic lifestyle, from a job that primarily caters to the whims of the well-heeled and the high-browed? But why do I feel some form of desperation, that there is always a need to see, hear and experience David? Why is he in my thoughts every waking day? 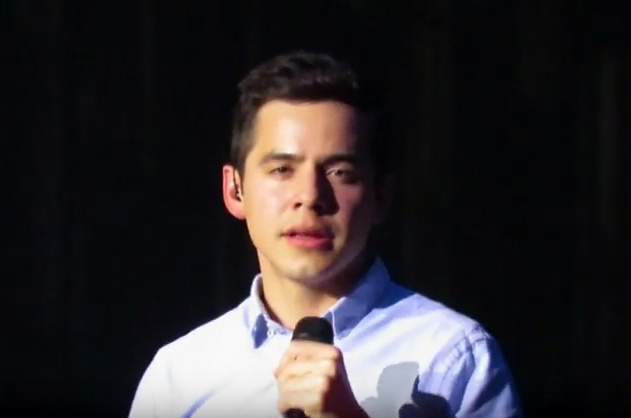 I tried to engross myself with my work, and yet I keep ending up with an urge to check Twitter, check the fan sites, my email, just to find out the latest about David and the Archuworld, as if my life’s meaning depended on it. Why this fan-ship at my age? There is a tug of war between my heart and my head because ‘loving’ David in a manner deeper than mere admiration is incredulous. How can I have feelings for someone which seems as strong as what I feel for my husband and my children? I want to believe that my ‘love’ for David is just like what I have for my own kids. And yet it is different. He is neither my family nor a friend, and yet he occupies such a big space in my heart. The perennial question I ask myself is: Why David? At first I was simply addicted to the way he interpreted songs of other artists, that he brought them to new life, making me stop and listen well, something I never did before. The so-called ‘cry’ in his voice stirs up emotions in me that awaken my heart to what I’ve wanted to feel for a long time. And shedding tears because of it is a cleansing of the soul, a washing away of accumulated dark thoughts that have turned into enlightenment. 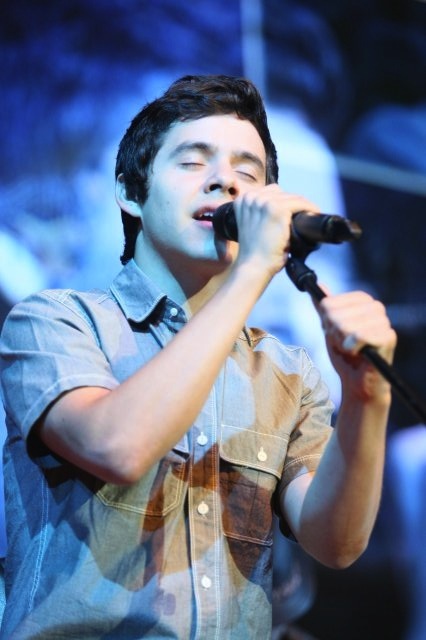 His voice is mesmerizing when he sings, and soothing when he speaks. But it is not just his voice that captivates me. His smile is as contagious as the common cold, and it can transform the dreariest of days to one of the sunniest. I can keep watching his vlogs and have a smile plastered on my face the whole time. His dreamy eyes reveal a pure and gentle soul with the most compassionate heart, and his direct gaze can make one weak in the knees or render one tongue-tied as if cast in a magic spell. He is only two decades old and yet his youthful charm transcends his age. His childlike demeanor is entrancing, but he has a maturity of thought and depth of character that is admirable and inspiring even to those twice or thrice his age. He consistently behaves or acts in a manner that is selfless and humble, with the purpose of being respectful to others and always doing the right thing. I have asked myself this question three years ago: Is David a real person? How can someone so young be all of these? How can someone so young teach me life’s lessons as if I didn’t know the answers before? I know what they are, but I was too busy to listen, to care. But then David came, and he knew how to make me listen, to make me care. He became my life teacher in his own special, humble, loving way. For a celebrity, I am glad he knows he can do away with any hype, any gimmicks, any special effects, any image re-do and any love interest to make people notice him. All he needs to do is sing and be his simple adorable self. Experiencing him live is the most potent advertising of all. Why? Because after you experience his enchantment, you desire more of it. And the desire does not wane but actually gets stronger the more you have encounters with him. It’s like you can never have enough of David. But when will it ever be enough? For many of us who experience a deep connection with David, he is like a beloved member of our family, of our lives. Will there ever be a finite desire for something as priceless as time spent with a beloved one? 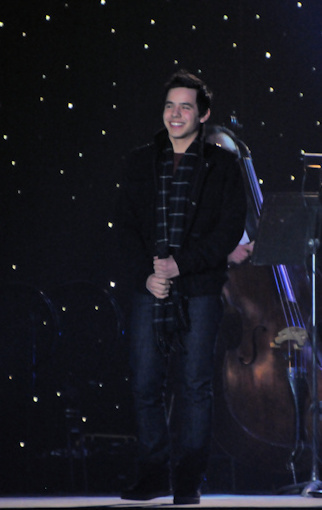 This entry was posted on Monday, November 14, 2011 at 1:12 AM	and is filed under David Archuleta, fandom, The Voice. 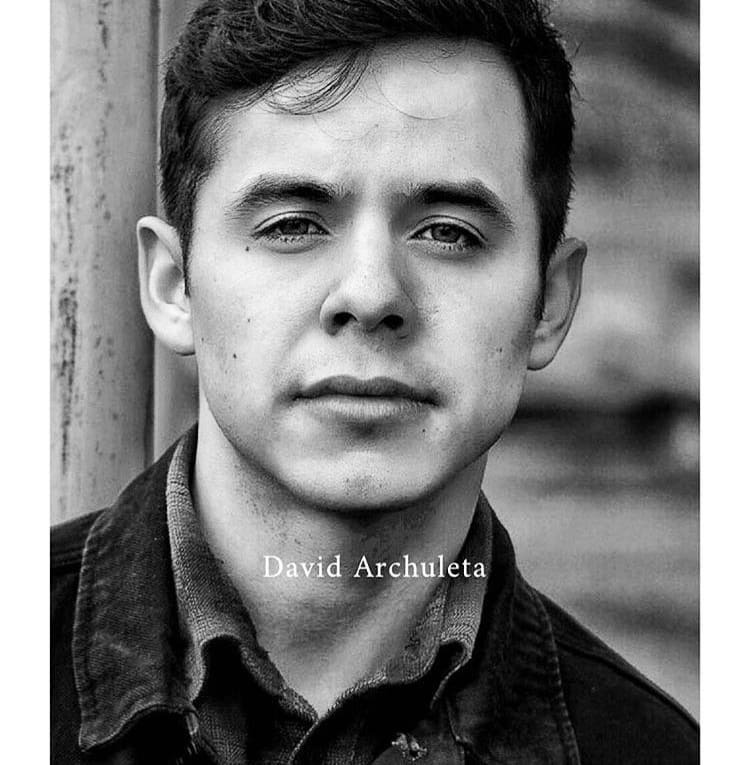 Tagged: David Archuleta, missing him, the Voice. You can follow any responses to this entry through the RSS 2.0 feed. You can leave a response, or trackback from your own site. questions, which I do with respect to David, they have no answer. Long ago, I stopped asking myself, what David did, to affect me this way? 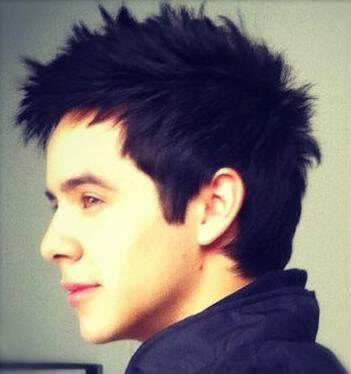 Now when I see or hear David, the only thing I do is feel. thanks Ascphil, I really enjoyed your article. Ascphil, your drawings have truly captured so many of David’s features that linger with us. I believe that I was in that chapel with you or so it seemed as I read about it. 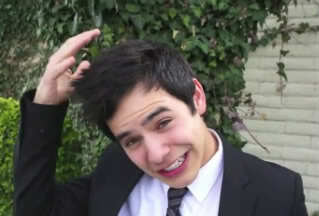 David is beyond our comprehension sometimes no matter how hard we try to understand. Your writing is wistful in a wonderful way. Ascphil, what a beautiful, beautiful article. Your heart was definitely writing for you.♥ I cannot pinpoint any one specific line or paragraph. It is all so meaningful to so many of us (probably all of us) who suffer the same ODD. Why David? You’ve given us thoughts to the why’s. Basically, because he’s ‘just David’. He is who he is, no pretenses, no frills, lights or sirens. He is the honest to goodness type of person we all want to be and have in our lives. Ascphil, I forgot to tell you how great your drawings are. You are very good. I can feel the love in each stroke as you’ve captured David on paper. Ascphil, I loved your article, and your David drawings are really wonderful. I’m not sure we will ever understand why he does to us what only he can do, I just want him to keep doing it. I was under the weather yesterday, but managed to get a gander at all the pics posted last night. Holy smoly! Way to kill a girl. I need a new thermometer. Thank you so much for sharing these little peices of your heart with us. This is so beautiful. I still don’t understand why David is different for me. I think there are probably many answers to why he isn’t “just another singer,” but I just can’t quite put it all together in a way that gives me that one difinitive answer. And your drawings! You are really talented. One can see that you paid great attention to detail in them. And you’ve captured the emotion in his eyes and in his face beautifully. Eyes are a difficult thing to draw and get right. But in that top drawing, I actually feel like he’s looking at me. Very Nice! Mabuhay, Ascphil….salamat po for your beautifully written words about David and also for your excellent drawings—-we can ‘see’ the love you have for David in your portraits!! Keep writing and drawing……. I thoroughly enjoyed your prior recap a few months back and was thrilled to learn that you were working on another piece for us. You write with so much depth of emotion and describe our ODD perfectly. Like when I read a good novel and I miss the characters, that’s how I feel when I finish reading your writing. And now you’ve treated us to your beautiful drawings. I wish I had that kind of talent! I’ve often seen David’s personality as a play on opposites and you described it so well here:. How can it be? And yet it is. Back in LA for rehearsing this week. There was a beautiful box in the dining room table !!!!!!!!!!!!!!!!!!!!!! So many fans have similar reactions after seeing him perform live. There is a huge let down that is fueled by the thought that he might not come to the area again for a long time. We are fortunate that David is plugged in to twitter and YouTube to keep us informed on his activities. I am sure you spoke to many fans in your article who share this “Missing David” thing. Writing it all down is therapeutic. I enjoyed hearing your story Ascphil. If these are first attempts a portraiture, you have a gift that needs nourishment. I hope you find drawing David to be something you will continue to do. I collected some pictures earlier this morning from the Pandora show. All pictures credit to their owners. LOL I lost track of where I found them. First, let me say your drawings are so beautifully rendered. So much control and attention to detail and yet there is a life about them that is wonderful. You really captured the essence of “David” so well. The whole thing is pure passion and eloquence that has a resounding bell-like ring of truth that resonates in us all. Ascphil, I love everything you said, and so beautifully I might add! Since David arrived in my life I feel and care differently, so I know exactly what you mean. I see so much love for David in each piece of art you create. You have amazing talent! Thank you for sharing your heart with us. Thank you for sharing of yourself in such a heartfelt manner. Incredible thing this David thing is. All the why’s come and go in my brain and heart not understanding these feelings but for me it all started with what lol What the heck is this?! It was a confusing time and then once I accepted the what the why’s started. Sometimes I think I know and then I’m back at square one. Your drawings are so meticulous I feel the love you put into them one hair strand at a time, just beautiful. So beautiful and honest that I couldn’t comment for awhile. How could someone living on the other side of the world know what’s in my heart? EXACTLY what is in my heart. Clearly this is something you had to write, and I’m so glad you did. Thank you for all your wonderful comments. I just want you guys to know that I had not expected this article to come out the way it did if not for the promptings of Angelica. I was like a doubting Thomas. I hesitated to have it published because it was too personal, that I was exposing the most vulnerable part of my being. I also felt my drawings weren’t good enough. I’m thankful for Angelica’s patience with me, for her encouragement despite my hesitancy. SB, I re-live that moment in the chapel even when I am in attendance of the Sunday mass. I think a lot about David during the homilies because he lives the lessons taught in the gospels. Last Sunday, the gospel was about the use of talents. Now how can I not think of David? MT, it pleases me no end that you made special mention of David’s eyes in my drawing. It is the one feature in his wondrous face that I want to get right, otherwise the whole drawing is for naught. And just like you, even after more than three years of being a fan of David, I still also ask so many questions about this ODD. Because I wonder if it will ever go away. 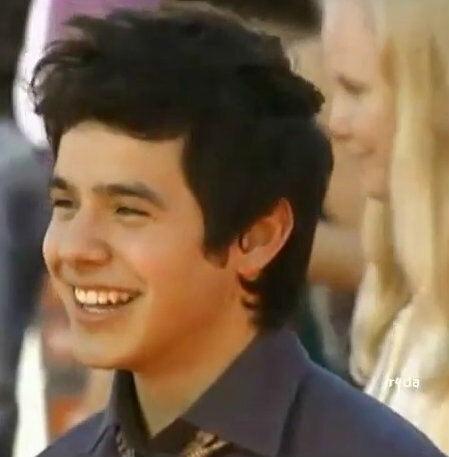 Is David just an ideal in my mind that I have conjured and hold onto in maintaining joy and love in my heart? Apparently I am not alone in my ‘dilemma’. TxNancy, Thanks for your encouragement, my kababayan! Maraming salamat din! Bebereader, I had been struggling with a recap for DALIM3 after the last one I did. Blame it on writer’s block or something more overwhelming than that. Angelica was able to get something out of my writer’s block and transformed it into this totally different but surprising feature. The first portrait was just something I shared with her for her birthday. She knows the story behind it, but I didn’t think she’d want to use it for an article. And yet, here it is. Angelica, I am deeply flattered that you had to repeat whole paragraphs in your comment. I have always been in awe of your gifts in writing, in video-making, in the artwork that you produce here at The Voice. To be given such a special feature as this for my drawings and my diary-like musings on David is really such an honor for me. 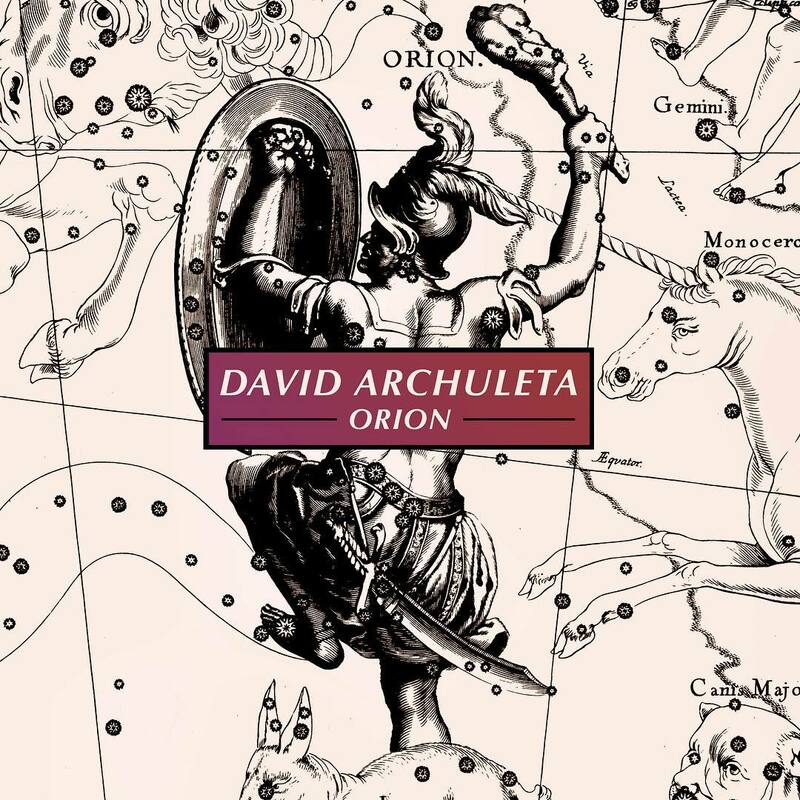 I told David this during the cd signing: “Your music inspires me so much. 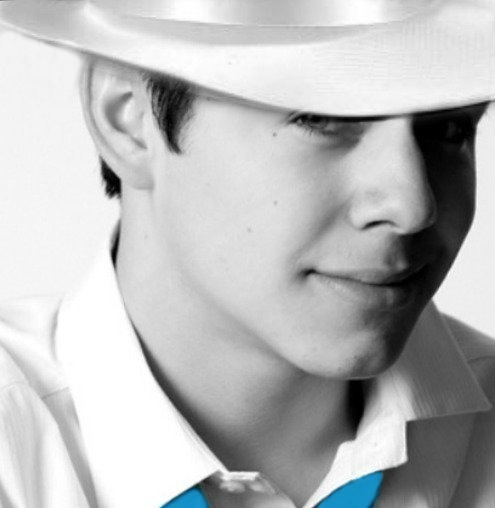 So much, you have no idea.” All of you here at The Voice inspire me equally as much as David does. Thanks from the bottom of my heart. ascphil,you got his eyes perfect,you are onr of the chosen ones,only i know my why,hope you find yours to. Ray, I hope to hear your why one day 🙂 Maybe it will help me with my why. My new framed picture for my wall 😉 From the LDS Living Magazine photo shoot. Note: If I looked that good in red I’d wear it every day. And, Abrra, ditto to your sigh!…beautiful pics and videos! I have never been a big fan of people covering David’s music – it’s not an easy task and usually not very good. JMO. But this IS. A different take on Look Around. What a voice. You should listen. Ascphil, Thank you for sharing your heart with us. What you wrote spoke to me (and for me) in so many ways. I read it with tears in my eyes. Thank you. What is it about that top picture Abbra posted on 21? I just keep looking at it. It is just…I don’t have a word. 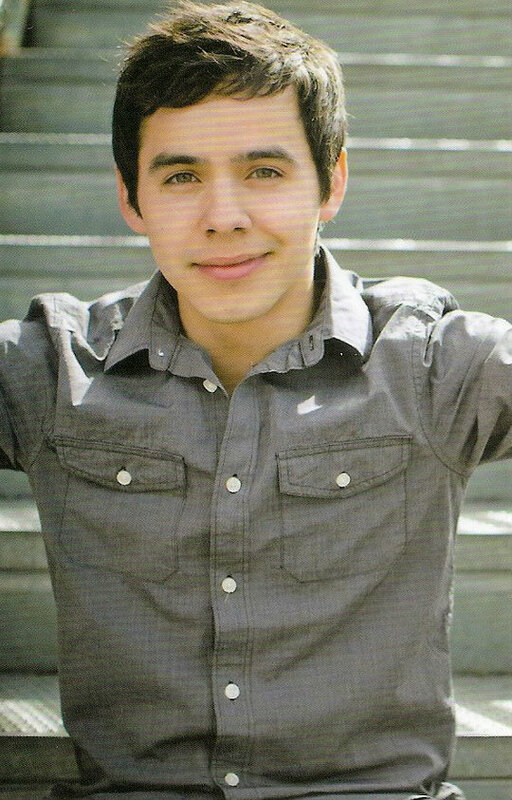 Someone once said, “there is so much going on behind those eyes,” about David’s eyes. I see that in this picture. Big promotional billboards for David’s MKOC concert at the Nokia Theater in LA. Very good placement at the premiere of the new Twilight movie. Thanks Djafan for the BIG pic. I tried to size it bigger but it didn’t work for me. What a great promo opportunity at the Nokia during the Twilight premiere! “And if you don’t know how to use iTunes find the closest teenager, they’ll probably know how to (with a veiled attempt to whisper)” Bahahahahahahahaha! He cracks me up all the time! 24. Betsy, isn’t that the fan who sang for David at a meet and greet during his Asia tour, and she couldn’t get through the song because she was crying and nervous? Wrote a song for him called Hero? Sounds like her. 27 Dja OH MY.You make dangerous eye treat for Abrra,. and you make Skydancer fall off her chair on to rump rump. JR..he does crack me up. I love his sense of wit. Sky, it sounded just like her to me. 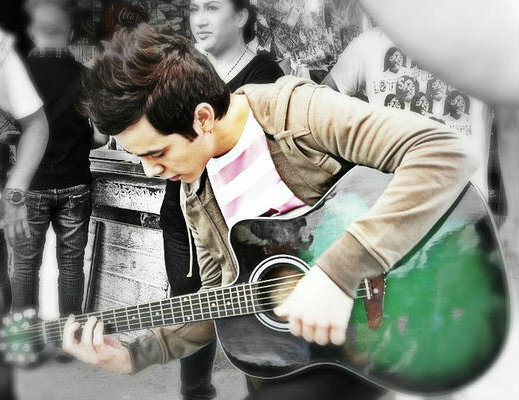 The one who wrote a song for David and couldn’t get it out through the tears and nerves. This is the one that sang with David in To Be With You. JR and Dja, thanks for that vid. Dja, What a great pic of the two of them together. And I love that she called him a great guy! … not sweetie or cutie. Your songs are for the young and the old. They turn our heart into pieces of gold. thank you for your wonderful article and picture. Ascphil, love your article!! It’s like you took the words right out of my mouth and put them on paper perfectly!! #28 Love all that good promotion for David!!! Hello Harold, what a nice poem! Indeed! Dja, very nice pic at 34.two gorgeous people right there. his hair….I just….oh nevermind. he’s gorgeous. Been gone all day and came home to beautiful pics!! #28…Abrra, that picture of David’s billboards at the Nokia Plaza are a monumental promotional happening. Nothing going on in the entertainment industry right now is any bigger than the 2 Twilight movies ‘breaking dawn’…here is the premiere as we saw on just about all of the entertainment news shows tonight. There is nowhere that he could have his billboard any more exciting than right there. His billboard has to be catching the eyes of everyone. It will be there for a whole month before he sings…People have been camping out in their tents to see the cast for days. David on the main billboard at the premiere of ‘breaking dawn’? The skating show is fine but fans from around the world are watching the ‘breaking dawn’ premiere news… he is right there and how he stands out in the picture. What a tremendous photo. Gaaaah!! Still trying to recover from the gorgeous LDS magazine photo shoot pictures posted by Abrra and Djafan. Ascphil…I really enjoyed your beautiful article and drawings. Your words spoke to my heart. Harold#37, I so agree! Our hearts turn to pieces of gold! Beautifully said, indeed! It is HUGE indeed to have such a popular movie premier happening below David’s portrait. I want to think that many who see it will at least be made aware that he is no longer “the kid from Idol”. At best they will see that he has advanced his career to the point of headlining his own concert. Seeing him as the man he has become. So many people saw that – reporters, celebs, fans. Ascphil~ I really enjoyed & relate to all you wrote. I do feel we are the lucky ones. Abrra & djafan ~ yes, he is just a vision of loveliness. December 17th at the	Grove, Anaheim can’t come soon enough for me! Ascphil, you had me at the beginning with “you yearn for David’s infectious joy”! A perfect description of one of David’s best attributes. He spreads that joy everywhere. Bebe, that Pat-a-Pan is delicious. Yesterday I received a care package from Abrra. Wonderful!! Thank you. Abrra is so good to us. And in the same mail was a card from Jan. Appreciate you, Jan. I love my mail man. Harold got it right. David has the golden touch. Seeing that pic of Nokia was exciting. There was more David than Twilight or even Bud Light. That was one beautiful picture. 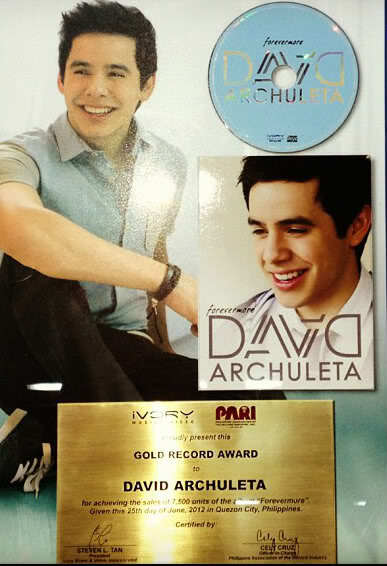 First -thanks ascphil, you have done a wonderful job of describing all the emotions that come with being a David fan. Everything from the anticipation before and then the sheer joy of seeing and hearing him–to the withdrawal pains that are felt for a long time after. ” What!! You mean it’s over and he’s actually leaving —and with out me!!! I swear he should come with a warning label–listing all the side effects. # 40–Bebe–I think I had a first with that video–when I watched it the first time my attention was drawn away from David to the guitar and piano player’s faces–the huge smiles and joy on their faces as they played and watched David, I picked up on a look of pride and awe also. Awesomeage!!!!! Now –That PICTURE— Move over Sky, I about lit on top of you—–he is showing us absolutely NO mercy, what so ever…….and it’s only going to get worse. So who is doing this fantastic Los Angeles promo if David doesn’t have a label? All these wonderful photos and promos for David are just too much too handle. Oh, my poor heart. It is the reason why Angelica convinced me to have this article published even if it is so personal to me. I felt compelled to write it for some purpose, for those who could not put down their feelings on paper. Thank you for letting me know that we share exactly the same feelings. Thank you. Your words made me think a lot. I envy you that you know your why. I think mine is the same as yours, but I’m still not sure. Does that mean I have little faith? Djafan #27, OMG! What a close-up! He just takes your breath away! That photographer sure knows how to work with light. A glowy David in the dark. The best metaphor about David in a photo. Wow, I'm glad my writing made you come out and comment. Love the poem you gave to David. He does have the King Midas effect on us. I agree with you that he enjoys, sincerely appreciates when fans show him the love he deserves. He returns it to us a hundredfold! Annie318, we are the lucky ones, aren't we? 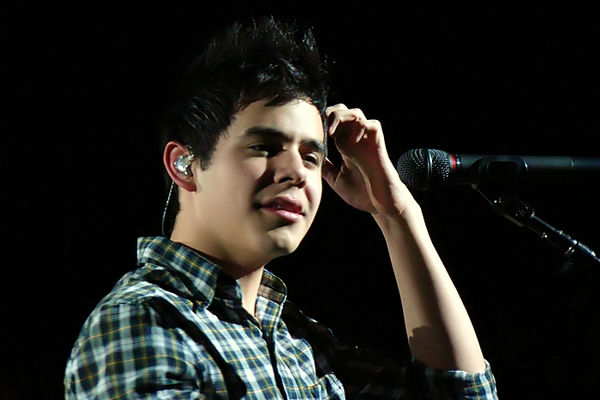 It just feels lonely sometimes when people around you just do not understand or feel what David does to and for us. Dayzee, yes I agree. David spreads joy around wherever he is. He electrifies the air surrounding him with it even if he is just quietly standing in one place. It is inexplicable how he has that effect on people. Oh my gosh, yes! He should come with a warning label about the serious side effects he has on us. But even if we are forewarned, we can never ever be truly ready for him. He unconsciously casts a spell on us and we're goners. #51, Pic #2…There is so much in that expression,. He doesn’t even need to sing to say something and to make you smile. #51 – Love your question, Bebereader. I don’t have the answer, but I love the question. Ya’ll are so right about the billboards and their placement at the Nokia..
and Bebe, I agree with Bluesky, great question. oh Dak, hahaha! !you crack me up! SB, Smiling 🙂 Bebe added a picture to #51 another expression looking right at you. ascphil- What a beautifully written piece! I keep going back to your drawings to see what else you have captured. Just gosh mighty amazing! Bebe- Thinking maybe some wealthy benefactor who appreciates David was responsible for the billboard but probably we may never know. But never underestimating David fans and their wily ways we may get an answer so who knows. Admins please make this BIGGER? 🙂 I fail. Old news story but I wanted to post the picture. Back into rehearsing some Christmas music to continue rehearsal week. Hows that for size abrra? And good for you getting that link to work!!! Thanks Djafan 🙂 Lovely man, indeed! #58 I was patiently waiting for “To Be With You” from Pandora. The poor video quality doesn’t matter to me because it more than made up for itself in great audio. 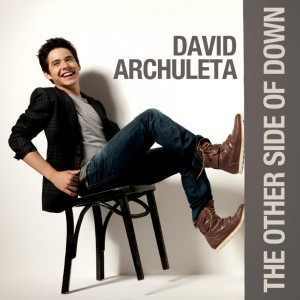 David’s vocals on the song blew me away! Did you hear him???!!! 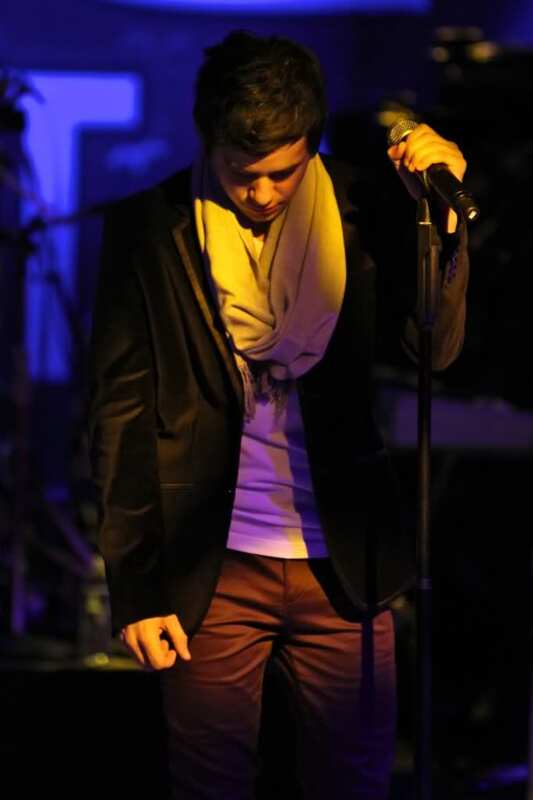 Every song he sang that night was outstanding. There is so much power and strength in his voice now. It’s enough to move mountains and at the same time it’s as soothing and calming as an ocean wave. 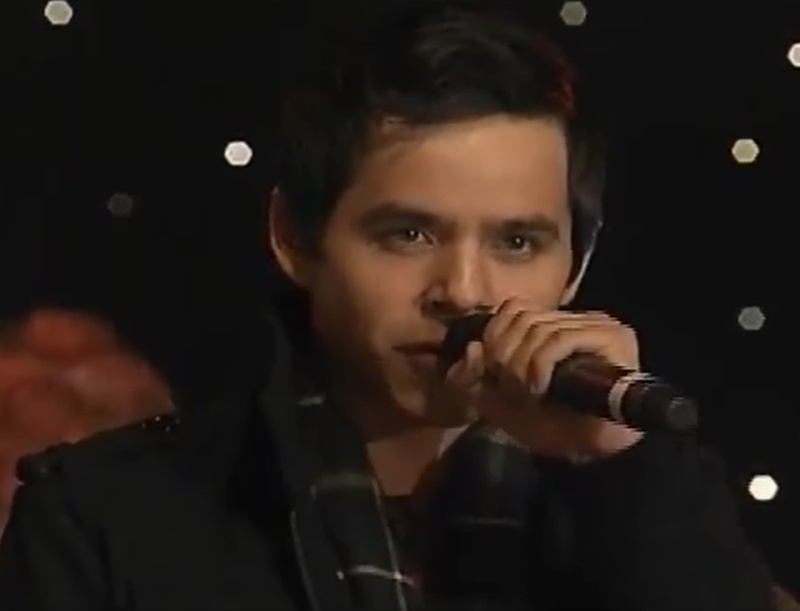 And he looked so sophisticated up there at the mic, with the short haircut, scarf and collar up. Oh and the glory note in TBWY…I can still hear it in my head! If you care to vote 🙂 Only need to vote once. 66. Dja, I cast my vote! All I can still utter is —-NECK!!!!! What a find!!! That first one, the 2nd one, the 3rd one, well all of them! Life sized David and he’s looking at YOU! Where did I put my heart pills? Betsy, that “voice” at Pandora is killing me. Dja me too. Just killing me. What the heck is going on around here? Y’all trying to kill off the entire fan base before tour? I go away for a bit and find the thread busting at the seams with life-size pics, necks, (Bebe) and that #60 huge twinkly-eyed thing with the hands (Abrra). I had purposely banned myself from the site after seeing the pic at #27 that is making the rounds, though not that hugely…(DJ). The first time I saw it, I was sitting at work and my brain went all wobbly and useless for several hours. That MOUTH! I don’t know what the rest of us are talking through and eating with but it’s not the same tool he’s using. Ought. to. be. a. law. Ought to come with a warning label listing the side-effects, like Dak said. Did I mention I was rendered useless for a spell? Then there’s the EYES and EXPRESSION and HAIR. Idk what we’re gonna do with him I swear. Oh and that glory note on TBWY was totally unfair. Love the huge signs at the Nokia Theater! I think the venue has a stake in promoting their events so maybe that’s who’s doing it. Very nice! Ascphil; I’ve spent many conversations in my own mind trying to pinpoint why I’ve become a fan of David and frankly, it’s scary how long I can entertain myself on that topic. I love how eloquently you’ve expressed your thoughts & I can completely relate to them. For me this experience has been sometimes mystifying but oh, so magical, uplifting, magnificent and leaves me wanting much more. Thank you for sharing as I’ve been enjoying re-reading your post. Your drawings are beautiful and I hope you continue to share your artistic talents. What MITCH products did Jaime use on David Archuletta today? Reformer for a strong hold matte finish that adds texture and a pinch of Construction Paste which is a mesh styler. What MITCH products are you using at home? I seem to remember David was filming something for ChildFund. With the arrival of the holiday season, ChildFund is launching a new program to shine the spotlight on children who live in extreme poverty worldwide. Working with various performing artists, our LIVE! concert series seeks to introduce new audiences to ChildFund’s work in 31 countries and the life-changing impact of child sponsorship. 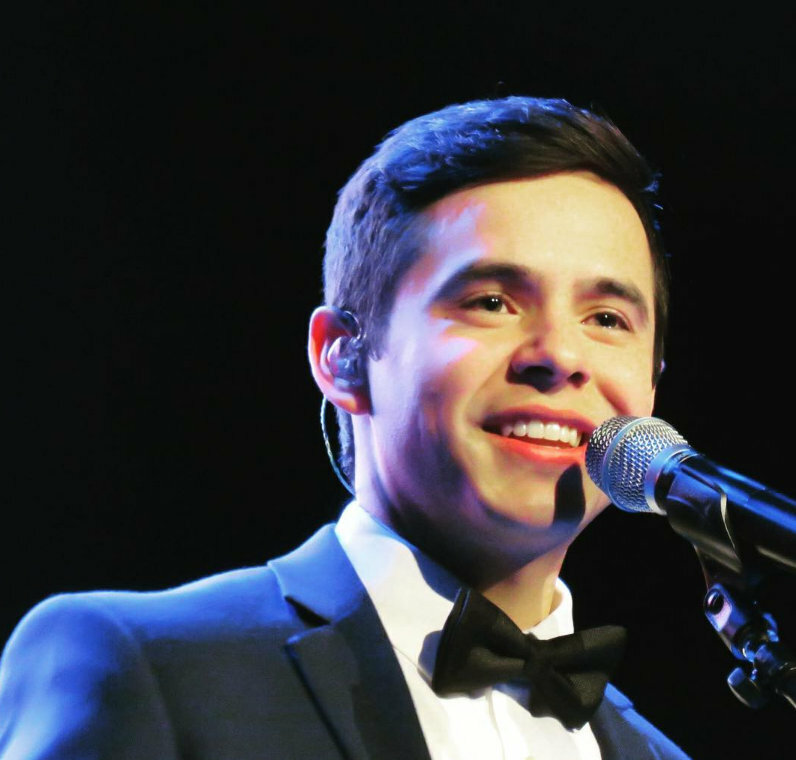 To roll out the program, we’re teaming with American Idol star David Archuleta, whose “My Kind of Christmas Tour,” gets under way in New York on Dec. 1 and includes concert dates across the country. At each venue, the platinum-selling singer will be telling fans about ChildFund’s mission. Current ChildFund sponsors will be on hand to share their own sponsorship experiences and assist with signing up new sponsors at the concert. Volunteers are still needed from New York to California. You’ll get to attend the concert for free, and rev up your holiday spirit by helping others learn more about becoming a child sponsor through ChildFund. Learn more by downloading the LIVE! Volunteer FAQs. To volunteer, call 800-458-0555 or send email to Questions@ChildFund.org. Hurry! Concerts are starting soon. Talented. Adorable. Sweet. 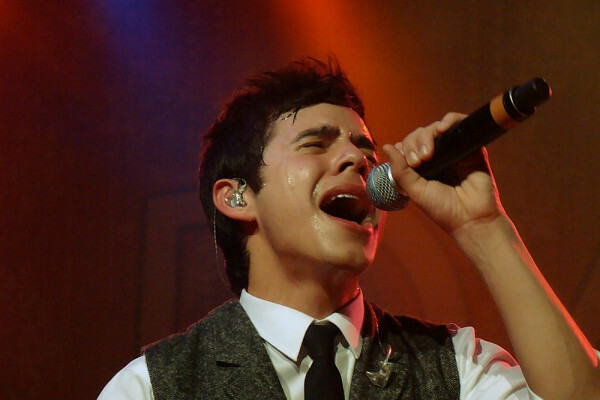 These are just a few words often used to describe singing sensation David Archuleta. Before I met him, I couldn’t help but wonder how much of his image reflected who he really was. Here’s the story, folks: he’s the real deal. In fact, there’s a lot more to David than meets the eye. 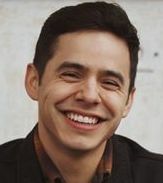 I recently interviewed David Archuleta for a story in LDS Living’s November/December issue (click here to read an excerpt). Just as I expected, he was gracious, humble, and delightful to talk to. But beyond his angelic and unassuming nature, David possesses a deep passion for music and a strong conviction to stay true to himself. I have to admit it—this is something I didn’t anticipate. I have no doubt we will see great things from David in the future. One of the projects he hopes to complete soon, although there are no solid plans yet, is a Latin album in honor of his Hispanic roots (his mother, Lupe, is from Honduras). He also has a few surprises in store—whether in his personal life or professional life, he wouldn’t say, but it’s clear to me that David knows his own path, regardless of what anyone else has to say about it. From Pandora event. David lights up everything around him. Beautiful. 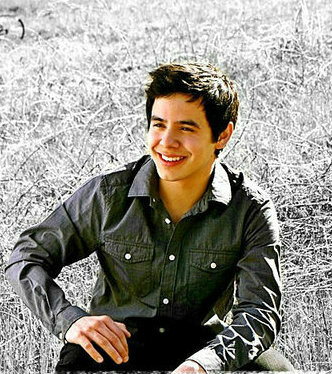 We are pleased to announce that ChildFund International is the sponsor of David Archuleta’s “My Kind of Christmas Tour,” December 2011. The heart of ChildFund International is the one-to-one connection made through child sponsorship. ChildFund will join David on his upcoming tour – at each venue current ChildFund sponsors will be on hand to share their own sponsorship experiences and assist with signing up new sponsors. Patrons signing up for a child sponsorship at one of the shows, paying by credit card, will have an opportunity to receive a ChildFund bracelet and an exclusive gift from David. * To help deprived, excluded and vulnerable children living in poverty have the capacity to become young adults, parents and leaders who bring lasting and positive change to their communities. * To promote societies whose individuals and institutions participate in valuing, protecting and advancing the worth and the rights of children. ChildFund International works in 31 countries, assisting approximately 13.5 million children and their family members, regardless of race, creed or gender. Their distinctive approach focuses on working with children throughout their journey from birth to young adulthood, as well as with families, local organizations and communities globally to create the environments children need to thrive. Look out for the ChildFund table at your “My Kind of Christmas” show, and help a child in need! To learn more about ChildFund International sponsorships now, please visit ChildFund.org. So looking forward to the MKOC tour. Can hardly contain myself. I am taking my oldest two granddaughters to his concert here in SLC, and my little five year old Kate asked me yesterday if he was going to sing the “Cat and Mouse” song, cause that is now her favorite, right behind “Something Bout Love”. She honestly can sing almost all of his songs word for word. She amazes me sometimes. She wants him to sing both at his concert, she informed me. I just told her we would know soon cause we will see vids of his first performance in two weeks. She was super excited that there were going to be vids first, cause she says she doesn’t like surprises that much. I just chuckled. Below is an article from Goodle and I totally laughed out loud here at work when I read it. Never heard him called this before!!!!! 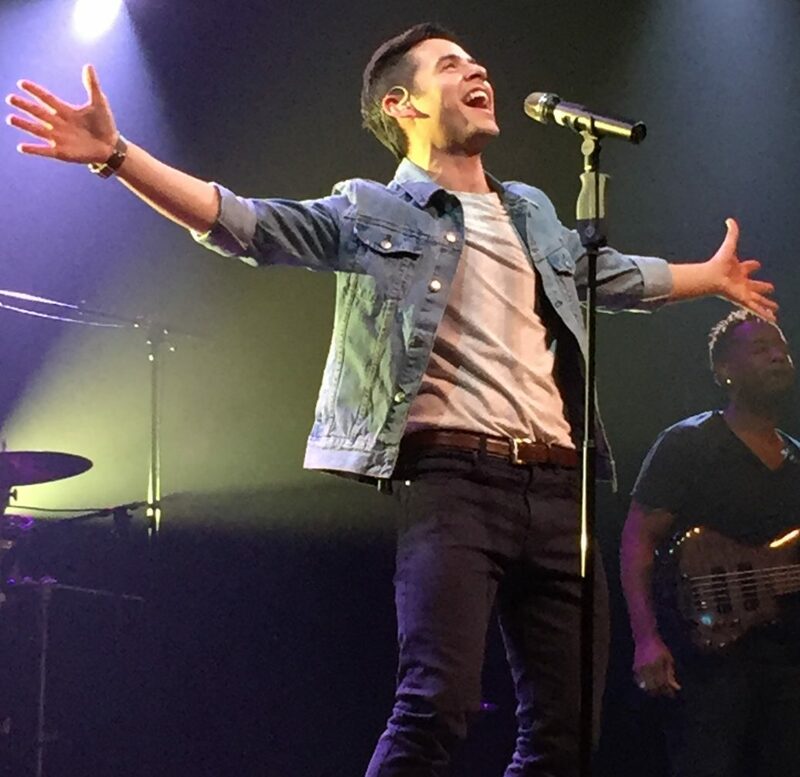 Everyone’s favorite American Idol pipsqueak, David Archuleta, brings his captivating vocal range back to the Wells Fargo Center for the holiday season with My Kind of Christmas Tour. Tuesday, Dec. 13, 8pm. 50 Mark West Springs Road, Santa Rosa. $30—$45. 707.546.3600. You’re right! Two weeks from today is the start of the My Kind of Christmas Tour, beginning in Westbury! 14 more days! I never heard David referred to as a pipsqueak before either! LOL He may be small in stature but he’s a GIANT in our eyes! Shawna! I want to see you in SLC!! I’ll have two grandkids with me, and would love to meet up. Are you doing VIP with them? e-mail me. This is up on David’s OS. I knew about Pandora and Motab but there is a slew of others on November 22nd all over the US and the Philippines. ????!!!!! Less than half are cities that could be for MKOP tour promotion. Its the odd ones that have me thinking something BIG is coming. Baltimore, Charlotte, Washington DC, Detroit, San Antonio and the oddest one of all Birmingham. When was the last time David toured in the south? I am thinking that these many interviews are part of MOTAB promo rather than something we don’t already know about. I may be wrong, of course! I should add that GCT was released officially in the Philippines, so the interview makes sense in that case. 92. Abrra, very interesting. That certainly is a lot of interview dates. Obviously they’ll be taped since he can’t be everywhere at once, but I wonder if they are different interviews or if it’s the same interview being broadcast to all the stations? An announcement? Tour Advertising? GCT advertising? Possibly something about sponsoring the charity? Guess we’ll find out next week! Things that make you go … hmmmm. I think he will be on satellite that day.He did that for the Washington 4th event. It could be MoTab promotion, but they left out NYC and Boston and Philadelphia. Those are 3 of the top PBS stations. Had to get this out of my system before I go to bed. Def: One that is small or insignificant. There is absolutely nothing small about David—he’s a giant! I could go on and on—-but I’m preaching to the choir. Dak ~ this fries my gizzard too. Whoever wrote that nasty little piece is a mental midget in my eyes. I feel about David like I do my own children. Once you’re mean to them well, I just don’t get over it.